Sister Margaret Safford, O. Carm., a Sister of Mount Carmel died November 4, 2018, at Our Lady of Wisdom Healthcare Center, New Orleans, LA. She was 86 years old and in the 66th year of her religious profession.Sister Margaret, formerly Sister M. Sidney, was born Hilda Margaret Safford, on July 14, 1932 to James Clarence Safford of Montrose, PA and Hilda Levert of Mark, LA. She entered the Congregation of Our Lady of Mount Carmel on Sept. 4, 1949, and received the habit of the Sisters of Mount Carmel on Aug. 3, 1950. On Aug. 4, 1952 she made her first profession, and pronounced perpetual vows Aug. 3, 1955. She celebrated her 60th Jubiliee in 2012. Sister attended Mount Carmel Elementary and High School in Lafayette, LA. She received a bachelor’s degree in Secondary Education from Loyola University, New Orleans with General Science as her major field and a master’s degree in Education and a minor in Administration from St. Louis University, St. Louis, MO and a second master’s in Pastoral Studies from Loyola, Chicago, IL. Her post graduate work included: Theology at St. Mary’s University and Regis College, Creativity and Contemplation at Notre Dame University, and Program for Spiritual Directors, Archdiocesan Spirituality Center, New Orleans, LA. Sister Margaret served for over 25 years in Catholic education teaching at Mount Carmel schools in Thibodaux, Abbeville, and New Orleans and at Our Lady of Prompt Succor, Westwego, LA, St. James Major, New Orleans, LA, and Vermillion Catholic, Abbeville, LA, where she was also principal from 1966-1977. She has also served as president and assistant to the president of the congregation, an adult educator at Hope House, manager and spiritual director of Blessing Place (now the Carmelite Spirituality Center) and pastoral minister at St. Margaret’s Daughter’s Nursing Home. In 2005 Sister Margaret returned to the Carmelite Sprituality Center as assistant to the director and served until 2015. Sister Margaret, the third of five children was preceded in death by her parents and her brother James Clarence Safford, Jr. She is survived by three sisters, Mary Lou Begnaud of Natchitoches, LA, Alice Robertson of Indialantic, FL, and Alma Yvonne “Bebe” Ebel, New Iberia, LA. 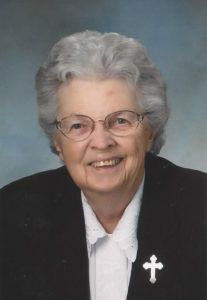 Sister Rose Marie Penouilh, O. Carm., a Sister of Mount Carmel, died Saturday, August 25, 2018 at Our Lady of Wisdom Healthcare Center. She was 88 years old and in the 71st year of her religious profession. Sister Rose Marie born Betty Nell on Nov. 21, 1929 in New Orleans, LA was the first of five children born to the late Percy Antoine Penouilh of Matthews, LA and Arada Ruth Lea of Kentwood, LA. She entered the Congregation of Our Lady of Mount Carmel on Sept. 4, 1944 and received the habit of the Sisters of Mount Carmel on Aug. 2, 1945. On Aug. 4, 1947, she made her first profession, and pronounced perpetual vows Aug. 2, 1951. She celebrated her 70th Jubilee in 2017. Sister Rose Marie attended Jefferson Davis Elementary and Mount Carmel Academy, New Orleans, LA. She received her Bachelor of Science degree in Elementary Education from Loyola University, New Orleans, LA and a Master of Education in Administration and Supervision in 1955. She pursued post graduate work in science, physics, chemistry, math, guidance, library science and computers. Devoting 38 years to teaching in Catholic schools in Louisiana, Sister Rose Marie has taught at St. Dominic, New Orleans; Our Lady of Prompt Succor, Westwego, St. Joseph the Worker, Marrero; and E.D. White, Thibodaux. In addition to teaching she served as principal at St. Joseph the Worker, Marrero; Mount Carmel, New Iberia; and Vermillion Catholic High School, Abbeville, LA. She taught physics at Loyola University in 1965, was Principal of the Year in the Diocese of Lafayette in 1969 and received the 1990 Volunteer of the Year in St. Tammany Parish for her work with the Slidell Unit Boys Club. In 2012 she was honored with the Mount Carmel Academy Alumna of the Year Award. 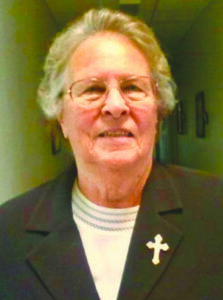 Sister Rose Marie served the congregation as Assistant General from 1973-1977, Congregation Secretary from 1985-1993, Congregation President from 1993-2001, and as Professional Development Coordinator at Mount Carmel Academy, New Orleans, LA from 2001-2002. Since 2002 Sister Rose Marie served as an Administrative Assistant at Mount Carmel Academy and resided at the Motherhouse, New Orleans, LA. Sister Rose was preceded in death by her parents, three sisters: Ruth Penouilh, Barbara Davis, and Elaine Penouilh, and one brother: Percy “Sonny” Penouilh, Jr. She is survived by her brother-in-law Sidney Davis, from Alabama, and by nieces and nephews.